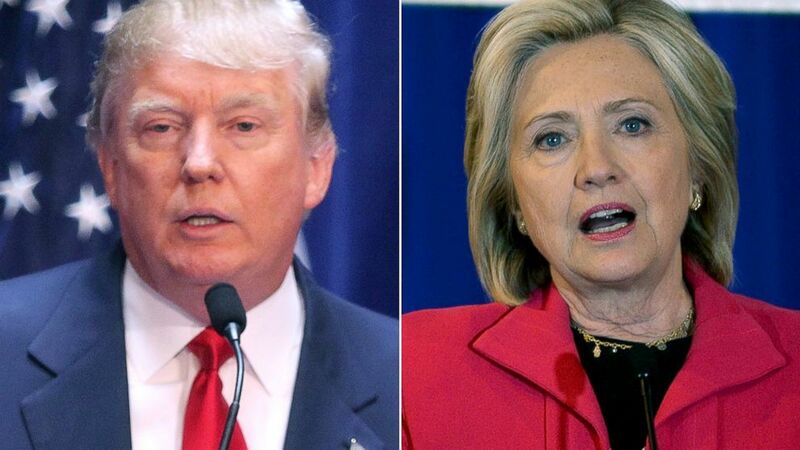 Hillary Clinton has labeled rival Donald Trump a “bully” for criticizing women for their looks. Speaking at a Florida rally, the Democratic nominee said Donald Trump had a 30-year history of “demeaning, degrading, insulting and assaulting” women. Meanwhile, Donald Trump has branded Hillary Clinton “corrupt” and said she would “destroy American healthcare forever”. Donald Trump told early Clinton voters with “buyer’s remorse” they could change their vote in four states. The clashes came as the fractious contest entered its final week, with opinion polls appearing to show the race getting tighter. The prospect of a Trump presidency sent Asian financial markets tumbling – appearing to confirm some analysts’ view that the markets believe a Clinton victory would bring more stability for the US economy. Appearing on stage with former Miss Universe Alicia Machado, who has previously claimed Donald Trump once called her “Miss Piggy” after she put on weight – Hillary Clinton said she had “learned way back in elementary school that it’s not OK to insult people”. For her part, Alicia Machado called Donald Trump “cruel” and said she had spent years “sick, fighting back eating disorders” as a result of the Republican nominee’s comments. Echoing Hillary Clinton’s comments at a rally in Ohio, President Barack Obama said the Republican candidate had spent a “lifetime calling women pigs and dogs and slobs”. Donald Trump has faced a string of harassment allegations in the last month, after a 2005 video tape that saw him making inappropriate remarks about women emerged. He has denied any wrongdoing and threatened to sue those involved after the election. Donald Trump focused his attacks on the Affordable Care Act, dubbed ObamaCare, which he believes is becoming increasingly unpopular with low income families he needs to vote for him, amid reports of higher premiums and less choice. Appearing on stage with his running mate Mike Pence and Governor Scott Walker in Wisconsin, Donald Trump called ObamaCare “a catastrophe” and said he would immediately convene a special session of Congress to repeal and replace it if he becomes president. Donald Trump also urged early voters who had “made a mistake” by voting for Hilalry Clinton to change their ballots before November 3 deadline. Wisconsin, Michigan, Minnesota and Pennsylvania allow early vote switches but the practice is extremely rare, according to the Early Voting Information Center at Reed College. Both sides also continued to spar over the recent revelation that FBI investigators are again probing Hillary Clinton’s email practices on November 1. The revelation has put Democrats on the defensive and hurt Hillary Clinton’s plans to promote a positive message over the campaign’s final week.